“The mind once enlightened cannot again become dark.” Thomas Paine penned this as a young British man, sparked by a desire for more education as opposed to making corsets in the family business. He went on to write one of the most influential pieces of literature in all of American history. 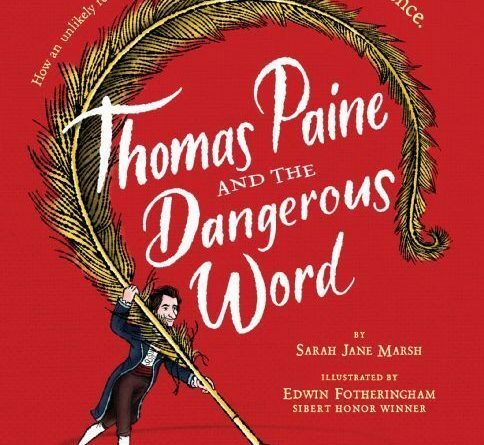 “Thomas Paine and the Dangerous Word” is Sarah Jane Marsh’s first book and it is excellent. She is a former history teacher who brought the American Revolutionary War to life for elementary and middle school kids. Her love for sharing our nation’s history shows in this detailed book about Thomas Paine’s life. I remember learning about his political pamphlet, “Common Sense,” as a young student, but I do not remember it having as much of an impact on me as it did when reading this book. 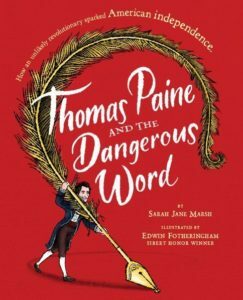 She revives Thomas Paine, the angst of the colonists and the positive political stir that swept our nation into freedom. The bold illustrations by Edwin Fotheringham are a perfect compliment to Marsh’s writing. I highly recommend this book; not only is it a great reminder of why our country was founded, the story shows just how influential one person and their passion can be. My daughter is only five so a little too young for this book, but I will be holding on to it so I can share it with her in a few years, the target grade level is 1-5, but I think it is on the higher end of that range. 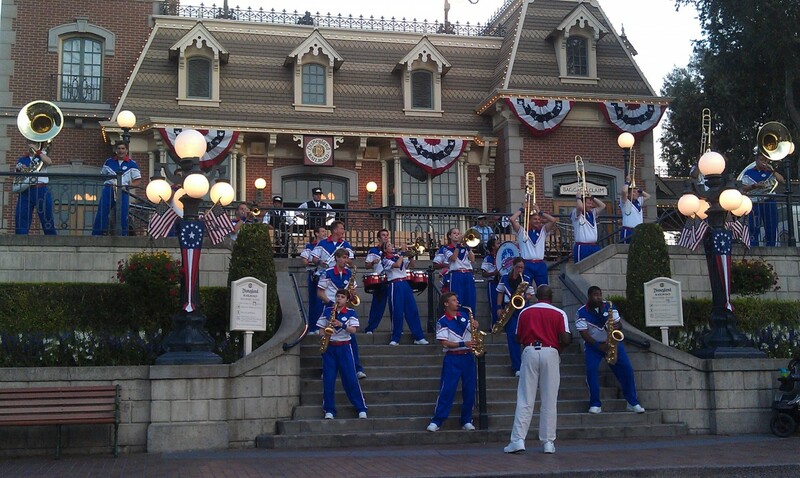 All Anerican College Band starting their last set of the evening.